Karnataka State Council for Science and Technology (KSCST), Department of Science and Technology, Government of Karnataka and Department of Science and Technology, Government of India, New Delhi are jointly organizing National Science Day 2012 Celebrations on 1st March 2012 at J.N. Tata Auditorium, Indian Institute of Science, Bangalore. We would like to bring to your kind information that "RENEWABLE ENERGY, CLEAN ENERGY AND NUCLEAR SAFETY" is the theme of this year's National Science Day. In this respect, KSCST is conducting various competitions namely, Poster competition, On-the-Spot painting competitions and Science Essay Competitions on the theme for the students of Corporation High Schools in Bangalore. The painting competition is scheduled to be conducted on Saturday, the 18th February 2012 from 10.30 AM to 12.30 Noon at the Indian Institute of Science (Behind Tata Statue, IISc Main Building). The National Science Day function will be held on 1st March 2012 at at J. N. Tata Auditorium, Indian Institute of Science, Bangalore. KSCST has organized popular lectures by eminent scientists from premier institution on energy related topics. It will be followed by prize distribution to students, for various competitions held during February 2012 - On-the-spot painting competition, Essay and Poster Competition. We are expecting about 800 students from various Higher Primary and High schools across Bangalore to participate in this programme. The winning Paintings and posters will be exhibited at J. N. Tata Auditorium. Karnataka State Council for Science and Technology (KSCST), Departments of Science and Technology, Government of Karnataka and Government of India are jointly organizing National Science Day - 2012 on 1st March 2012 at 10.00 AM at J. N. Tata Auditorium, Indian Institute of Science, Bangalore. 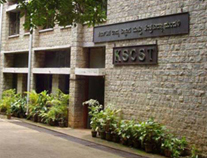 In this regard, KSCST had organized Essay Competition, Poster Competition and On-the-spot Painting Competition for higher primary and high school children of BBMP and other schools in Bangalore during second week of February 2012. The prizes for winners of these competitions will be distributed during the programme on 1st March 2012. The programme, being organized as National Science Day, is aimed at encouraging students of higher primary and high schools. Popular lectures by eminent scientists and prize distribution ceremony are planned for this event. KSCST is celebrating National Science Day since last ten years. The programme will be inaugurated by Shri. Y. B. Ramkrishna, Executive Chairman, Karnataka State Biofuel Development Board. The Chief Guest of the function will be Shri. B. R. Prabhakar IAS (Retd), Former Chief Secretary, Government of Karnataka. Prof. M. S. Mohan Kumar, Secretary, KSCST, will be presiding over the function. During the morning session, Shri. B. R. Prabhakar IAS (Retd), Former Chief Secretary, Government of Karnataka and Shri Vishnu V. Chinagundi, Senior Faculty, Mahatma Gandhi Institute for Rural Energy and Development, Bangalore will be delivering science lectures. During afternoon session, lecture will be given by Shri Vikshut Mundakur, Senior Manager, Selco-India. The valedictory and prize distribution programmes are arranged at 3.30 PM. Shri. S. K. Paramesh, Director (Technical) Bangalore Metropolitan Corporation (BMTC) will be the Guest of Honor. Prof. B. N. Raghunandan, Divisional Chairman, Earth and Environmental Sciences, Indian Institute of Science will preside over the function. It is expected that about 800 students / teachers from various BBMP and other schools will participate in this programme. Also, more than 100 students will be receiving awards during this programme.